Penn State's Board of Trustees posted a statement on the university's website this morning, explaining why it chose to fire coach Joe Paterno and university president Graham Spanier. The trustees already explained this in a New York Times interview in January. But with so many Penn Staters still focused on spit-shining Paterno's legacy in the shadow of the Jerry Sandusky case, the board decided to do it again. The report stated that a Penn State graduate assistant had gone to Coach Paterno's home on Saturday morning, March 2, 2002. The report quoted Coach Paterno as testifying to the Grand Jury that the graduate assistant told him that he had seen Jerry Sandusky, the coach's former assistant coach up to 1999, "in the Lasch Building showers fondling or doing something of a sexual nature to a young boy." In that January Times story, though, the board had also said it didn't appreciate the way in which Paterno had questioned its authority in the days after the scandal broke, presumably when he issued his own statement telling the board not to concern itself with his job status. Today's university statement makes no mention of that dispute. Joe Paterno&apos;s Statement: "With The Benefit Of Hindsight, I Wish I Had Done More"
The board does write that it regrets that Paterno's firing was done with a brief phone call on the night of Nov. 9. The report blames the media for the decision, essentially—with Paterno's house surrounded, the trustees saw no "dignified, private and secure way" to deliver the message in person. We are sorry for the unfortunate way we had to deliver the news on the telephone about an hour later to Coach Paterno. However, we saw no better alternative. 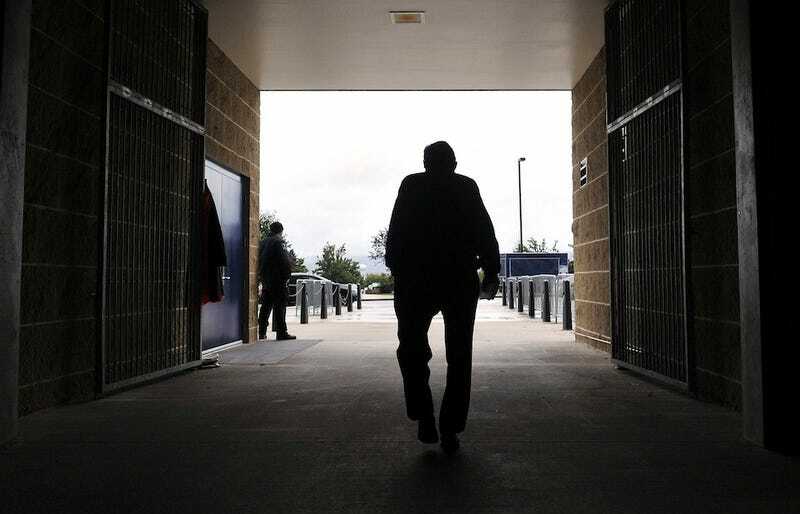 Because Coach Paterno's home was surrounded by media representatives, photographers and others, we did not believe there was a dignified, private and secure way to send Board representatives to meet with him there. Nor did we believe it would be wise to wait until the next morning, since we believed it was probable that Coach Paterno would hear the news beforehand from other sources, which would be inappropriate. According to the statement, the university plans to wait for former FBI chief Lous Freeh to wrap up his internal investigation before it decides how to honor Paterno. For the time being, the trustees write that the university intends "to name him head coach emeritus," which is maybe a little weird, as a title applied to someone already deceased. Graham Spanier, the ex-president, remains a tenured professor and is listed in the university directory as president emeritus.